Pine Gardens Homes online now. 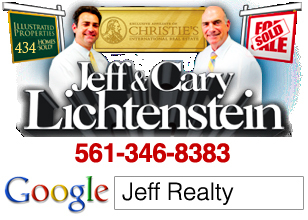 All listings & Sold Statistics! 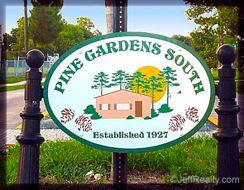 Pine Gardens Jupiter homes were established in 1927 as the sign reads. Single family homes still exist as far back as 1931 on sizable parcels of real estate. If you aren’t searching for the Old Florida charm look, than there are many newer Key West and Mediterranean style homes to pick from as well. The area can be reached by taking Center Street or Loxahatchee River Road or Tony Penna off Indiantown Road. Pine Grove, Fern, Loxahatchee, Willet, Perry, Hugh, Fern, Edmund, Evernia, Hepburn, Hibiscus, and Kennedy, along with 1rst through 8th Avenues are the major streets. Most properties are between 1,000 square feet and 2,000 square feet. Since many of the construction were from decades ago, it is not uncommon to see ¼ to ½ acre or larger lots. The area was not as populated back then so larger plots to have sheds, large decks, dog runs, backyards, and generous pools were the norm. There are no homeowner association fees in Pine Gardens and thus no rental, pet, or truck restrictions. Yet all roads are public and paved. Neighborhood living with a little bit of land and in the heart of Jupiter can still be enjoyed at an inexpensive price at the Pine Gardens Jupiter homes. Posted in Jupiter homes, Uncategorized on September 29, 2011 at 2:34 am.